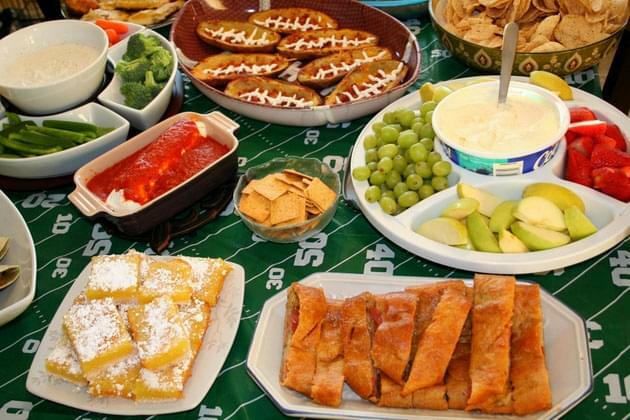 With many having yesterday off in central Illinois, we all had plenty of time to Google yummy recipes for our parties and gatherings for the big game! I (ORyan), am fairly certain the GOAT Tom Brady will lead New England to another SB title! My new co-host (Alyssa) thinks LA is going to win. And, we are going to make a wager. When New England wins, she gets to watch my boys for 4 hours while my wife and I go out to dinner. Listen to Peoria’s 92.3 to find out what SHE has in store for me if she wins. Which, she wont. So for now, check out these easy DIY recipes and foods that will make your party POP! BTW, for Illinois, the most googled food is jalapeno poppers! See what other states are Googling for more food ideas here. Otherwise, check out the videos below! And if you make any of these recipes, tag us in the pic so we can see how yummy it looks!! !